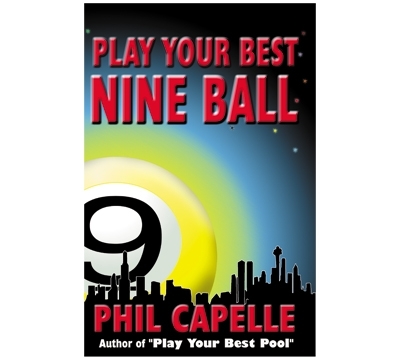 PB90 – Capelle's "Play Your Best 9-Ball"
This book is for nine-ball players of all levels of skill. Capelle discusses strategies that all players can use, but also gives advice that is tailored to your current level of play using his ABC system for rating players. There are big chapters on position play, pattern play, safeties, kick shots and how to practice. He also covers the break, clusters, pushout strategy, shotmaking, competition and much more. Over 470 diagrams, all perfectly to scale. Over 140 of the shots were taken from matches between professionals. Includes a detailed appendix and glossary. 480 pages.